Noah Goldman, the author of this piece, will be graduating in May. He was actively engaged and on the Hillel Board during his entire tenure at Queens. He did a fabulous job as Hillel President over the past two years. Noah is the recipient of the Gossett Jewish Leadership Scholarship and Rabbi Judy Schindler and Talli Dippold (his Hillel “moms”) have no doubt that he will go on to do incredible things. 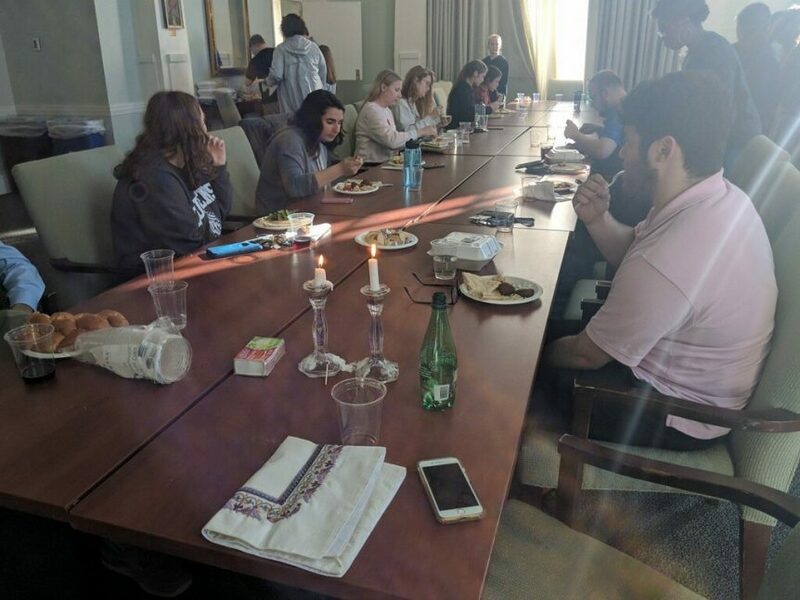 “During Presbyterian and Pluralist Week we had wonderful events: a great lecture from Imam Atif (who we are so thankful and proud to have here and one of the many reasons I don’t want to graduate), an off-campus trip to the Hindu Center, and an amazing concert by Abraham Jam. Now, after a crazy week, we prepare to rest. In Judaism, there are 3 required “loves”: to love your God, to love your neighbor, to love the stranger. Hopefully you love your parents too, but just know you’re not required to. I would argue that pluralism enters through these requirements. We love our neighbor of another faith. We love the stranger of another faith. But loving your neighbor and the stranger can be difficult. Different cultures, different religions, different values, different ideas, and so many other differences often get in our way. If there is one thing I have learned these past few years is that we’re not that good at having the important and difficult conversations. It also seems that forgiveness is increasingly harder to come by. There are some things we find in Judaism that can help encourage better discourse. There is a concept in Judaism called “Kavod HaBriyot” which calls for respecting the humanity of our fellow human beings. Even in the intense rabbinical debates of ancient days, the rabbis challenged ideas, not people. These debates put every idea to the test and yet, in defending complex ideas, personal attacks were not permitted. Even ideas that were widely unaccepted, were recorded for history to be the eternal judge of their value. We should remember, like the rabbis, that there is more to someone than their worldview. They have favorite hobbies, foods, goals, dreams, and so much more. We need to humanize those who challenge us because ultimately, they make us better human beings. Their ideas make us think better, see the world more critically, and demand growth. Even when I strongly disagree with others, I remind myself that there is more to my friends than their opinions. There is more to them than their religion. I know that our friendship doesn’t have to be consumed by difficult dialogue. There’s more to us than controversy. That is where the beauty of Shabbat enters. We welcome a time to rest, try to ground ourselves and silence the outside noise. 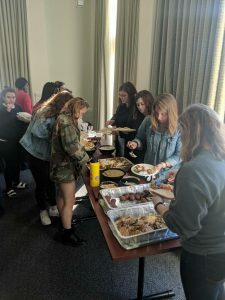 What better way to find humanity in each other than in falafel and hummus? I try to take Shabbat as a time to quiet the politics, the debates, the tweets, and focus on this radical concept called rest. Rest and dialogue, two things we could do better at. Believe me, it is worth taking a day to rest. Try it! Stay off social media. Stay away from the news. Eat food with friends. Just for 25 hours. The universal theme of Shabbat, whether you are in the US, Argentina, Israel, or anywhere else is to spend time with family and friends, your neighbor and the stranger in your land. So, for the rest of the day and tomorrow, relax with your neighbor and the stranger. Welcome them into your home. Discuss each other’s lives together, what makes you happy, and what brings you joy. Save the work – being difficult dialogue – for the weekdays. Interfaith is more than just dialogue. For me, the biggest and best part of interfaith is enjoying food together and reaffirming each other’s humanity. Let there be peace in our communities and between our communities. Let us enjoy the food and each other. What a beautiful, inspiring piece! Yasher koach, Noah! I wish you all the best in your next chapter. I’ll follow your trajectory with much interest.